If things go our way, we have nine long weekends to look forward to in 2014! And several of them would be at least five days! And if you do the math, you can plan for a 12-day vacation next Christmas! 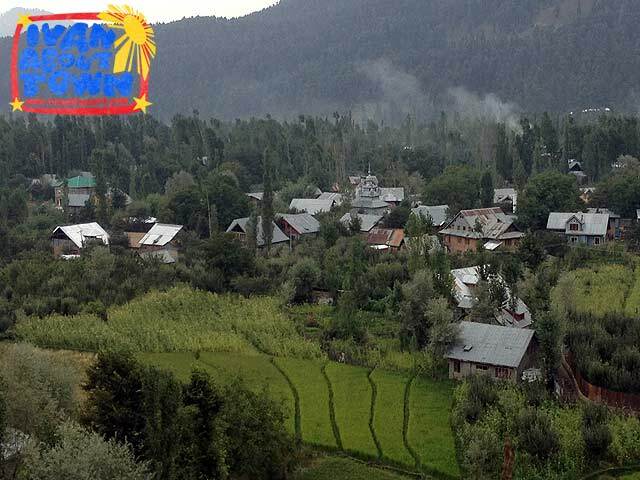 The heartland of winter sports in India, the hill station town of Gulmarg in Kashmir is a popular tourist destination among locals who want to escape the heat down south. 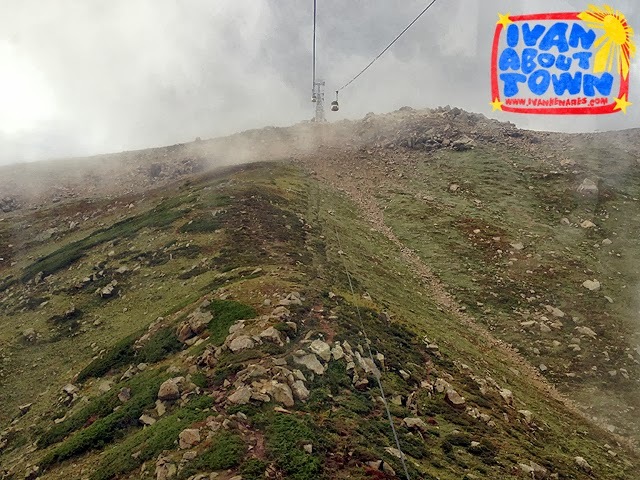 In fact, it is said to host some of the longest and highest ski slopes as well as the highest gondola in Asia up the Afarwat Hills of the Pir Panjal Range of the Himalayas. I realized when I looked at a map, that it was just within miles of the border between India and Pakistan. We had arrived in Gulmarg after a scenic two-hour ride from Srinagar, the capital of Kashmir. 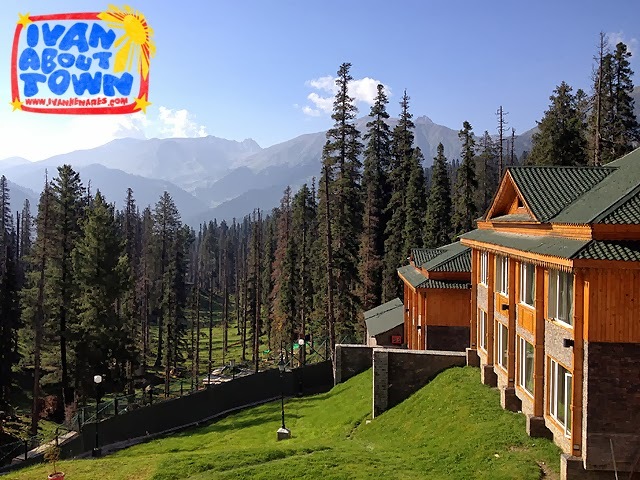 We checked-in at the recently-opened Khyber Himalayan Resort before proceeding to Strawberry Valley to enjoy picturesque views of Gulmarg. The sunset was spectacular and we were quite thankful the sun appeared despite having most of the day cloudy and at times drizzling. 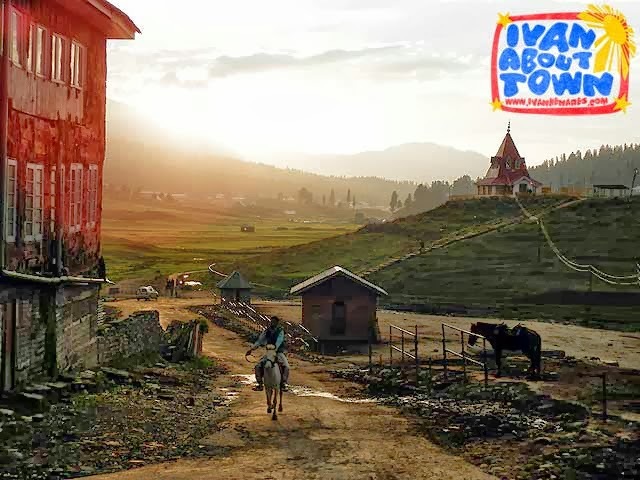 The charm of Gulmarg's quaint architecture with the Himalayas as a backdrop and the sun setting behind them was enough to elicit oohs and aahs. 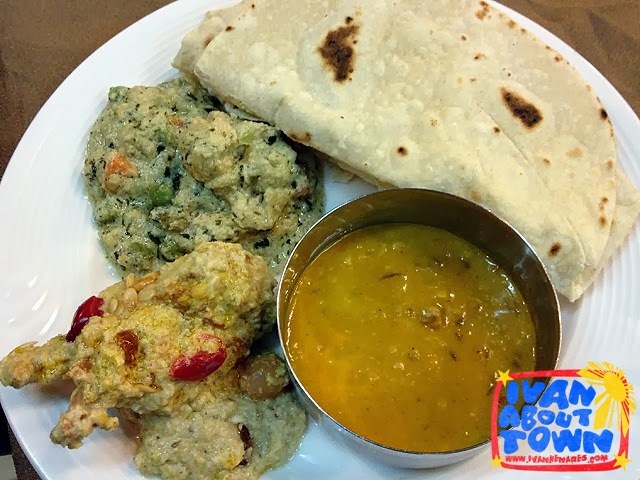 The Kashmiri dinner that followed our sunset experience was memorable as well. We had Mughlai Chicken (chicken cooked in a thick and rich gravy made from ground almonds with cinnamon, cardamon, coriander, cumin, chili and garam masala), a Central Asian dish that was introduced to India during the time of the Mughals; and Vegetable Navratan Curry (Navratan means nine gems) which gets its name from the nine vegetables, fruit and nuts used to make the dish: cashew nuts, potatoes, beans, carrots, peas, bell pepper, cauliflower and pineapple (although it has garlic, onions and tomatoes as well). The next day, the sun was out again. After breakfast amid views of evergreens (I could imagine this would look even prettier during winter), we proceeded to the Gulmarg Gondola, Asia's highest, and rode from Gulmarg (2,700m) up to Apharwat (3,980m). There's actually a small military outpost on top. The military and police are actually everywhere in Kashmir. And seeing them is definitely part of the visitor experience. 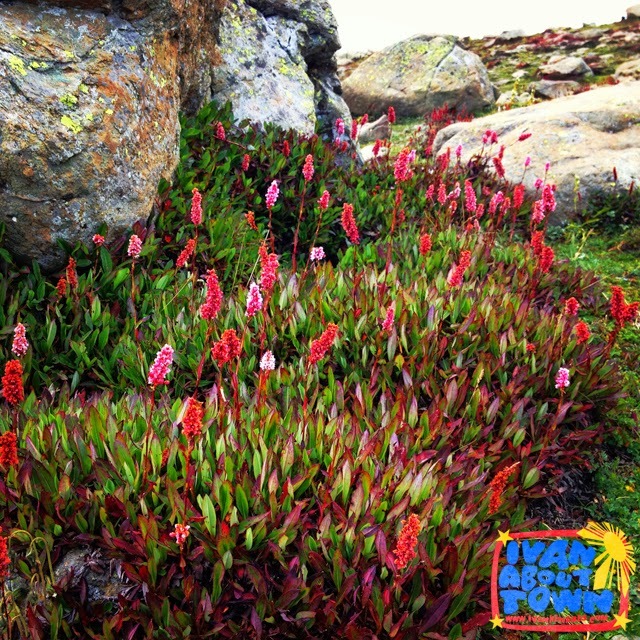 On top were different kinds of wild flowers. It's a reminder that Gulmarg literally means Meadow of Flowers. 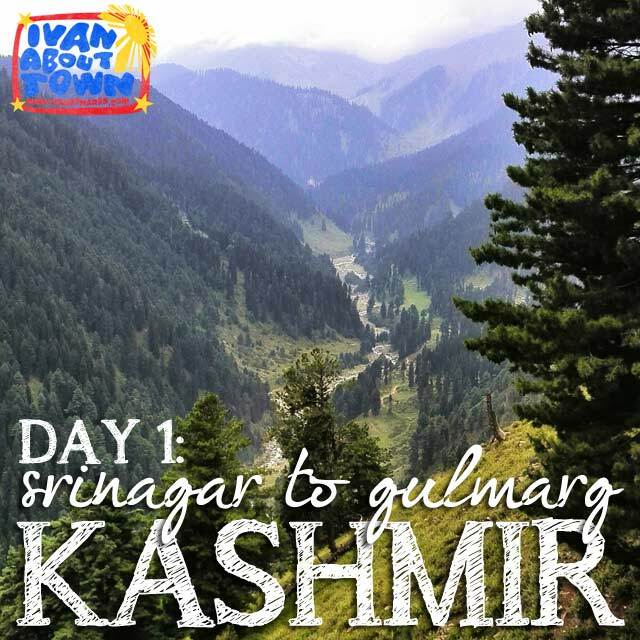 After arriving back in Gulmarg, we drove down to Srinagar to continue our brief journey around Kashmir. 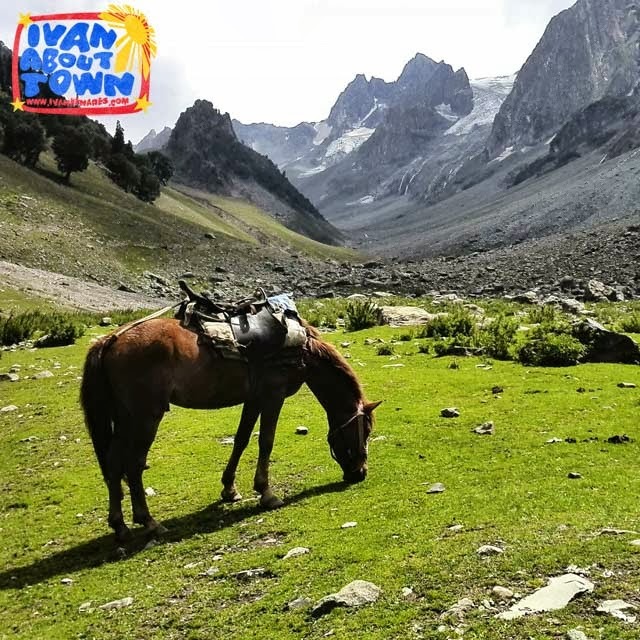 You could actually go horseback riding around Gulmarg. 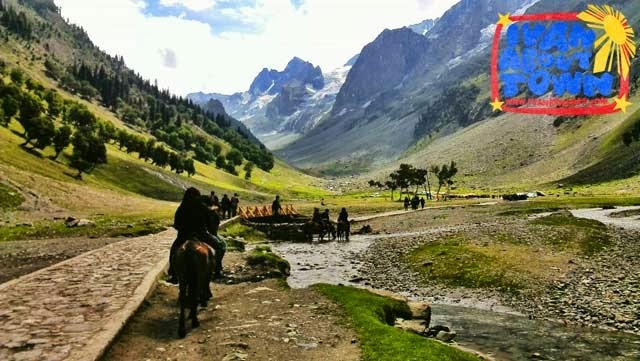 But we saved that activity for Sonamarg where views are even more picturesque! Globe Huawei Ascend Mate is great for travel! In my recent trips to Nepal, India and Malaysia, the battery life of my Globe Huawei Ascend Mate wowed me! Since I was abroad, daily phone usage was less. I’d take out my phone for photos that I’d post on Instagram or Twitter every now and then. But what impressed me was that I rarely had to charge my phone during those trips. While using it with WiFi to check my Instagram, Twitter, Facebook and my e-mail, I noticed it lasts at least a day longer than my other smart phone. Finally, I found a phone with a long battery life which does not force me to look for a power outlet as often as before! In fact, standby battery life extended up to five or six days, no kidding! But I realized it shouldn’t be a surprise since Globe Huawei Ascend Mate has a 4050 mAh battery. Plus with a huge 6.1-inch HD display, I could appreciate my photos better. The large display of Huawei’s Android pocket cinema smartphone also made it convenient for me to check social networking sites, watch videos and surf the Internet without having to bring out my laptop computer. 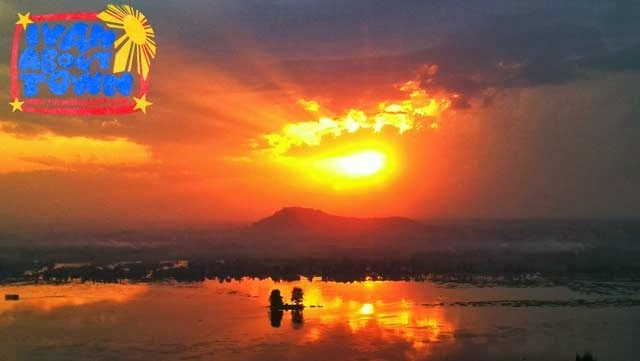 In Kashmir, I also used my phone to capture Srinagar’s stunning sunset and enjoyed using it to document our pony ride through spectacular landscapes on the way to the Himalayan glaciers of Kashmir Valley. In Malaysia, I took great shots of both old and modern architecture. But it's definitely two thumbs up for Globe Huawei Ascend Mates’ battery life! I’m looking forward to using my Globe Huawei Ascend Mate in future trips! Kashmir is often called Heaven on Earth. Indeed, the four days we spent in Kashmir was Heaven owing to its pleasant weather, spectacular scenery and colorful heritage and culture. Day 1 in Kashmir, India: Just as soon as we arrived in Dehli, we were again at the Indira Gandhi International Airport to catch our Jet Airways flight to Srinagar in Kashmir. 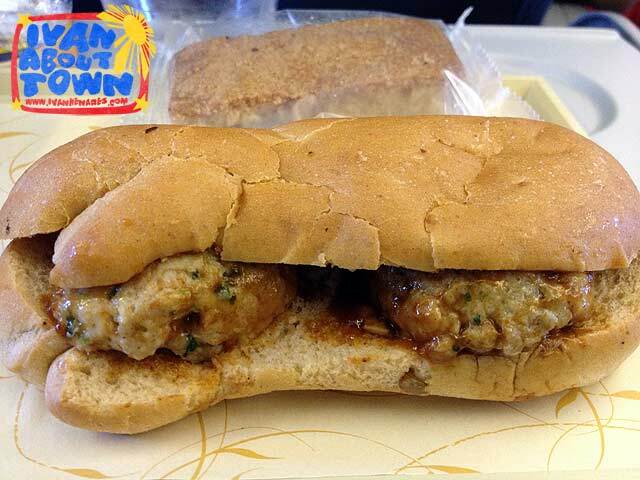 It was a short local flight but we were still served savory sandwiches (vegetarian or spicy chicken) on board. 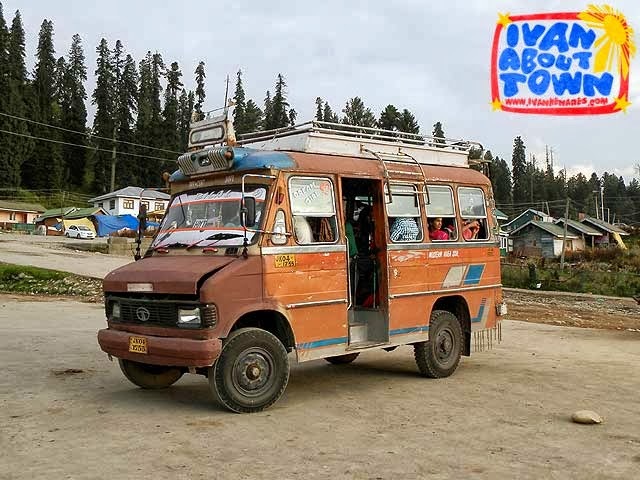 As soon as we arrived in Srinagar Airport, we drove to Gulmarg, a hill station and resort town two hours from Srinagar. 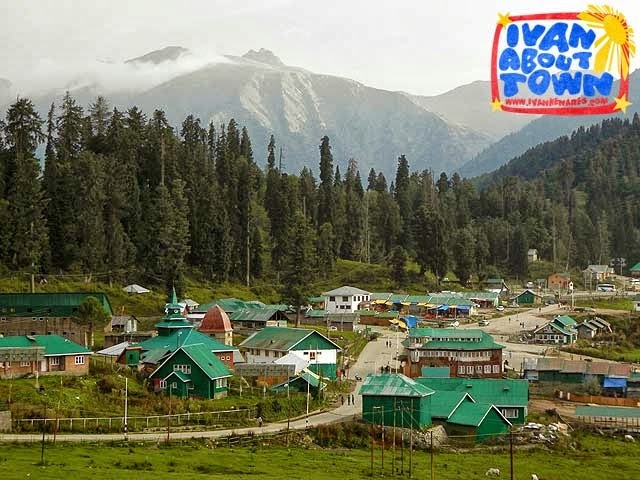 Gulmarg, which literally means Meadow of Flowers, is a popular skiing destination during winter. On the way, we saw one charming mountain village after another. Our late lunch stop (by now we were really hungry since the Philippines is ahead by 2 hours and 30 minutes) was at Tangmarg, one hour in between Srinagar and Gulmarg. 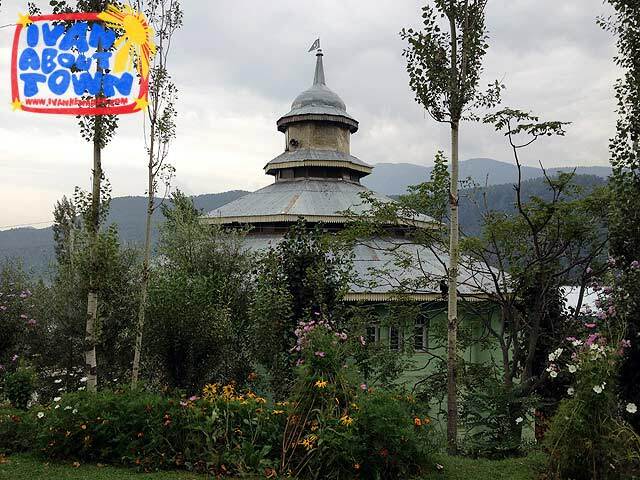 While waiting for our meal to be served, I walked around town and saw a quaint mosque (mosque architecture is very different in Kashmir) and a village down the valley. 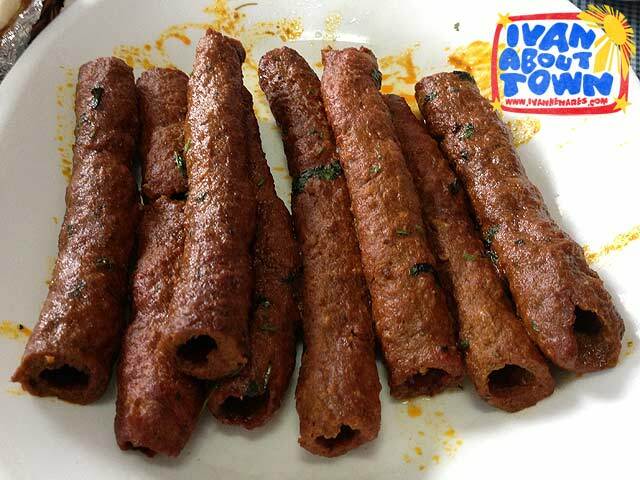 Our lunch was a bevy of Kashmiri dishes which included Seekh Kebab (minced meat grilled on skewers in a tandoor) and Gushtaba (minced mutton balls in tangy yogurt gravy). It took us another hour to reach Gulmarg. But not before enjoying the picturesque views along the way! As soon as we arrived in Gulmarg, we checked-in at the luxurious Khyber Himalayan Spa and Resort which is not even a year old! Too bad we only stayed there for a night. 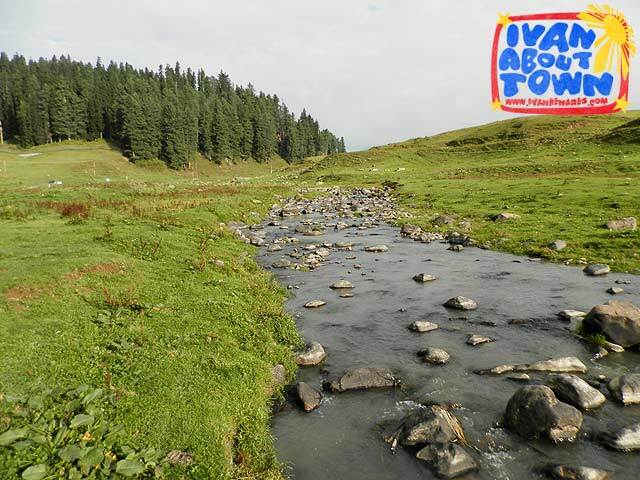 After dropping our stuff, we explored Gulmarg, particularly a place called Strawberry Valley, which is quite popular with hikers. 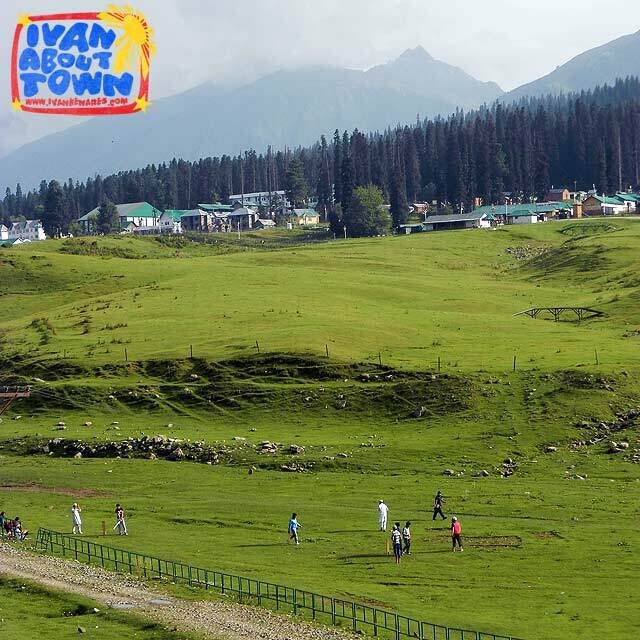 Gulmarg is a favorite family getaway for locals in India. 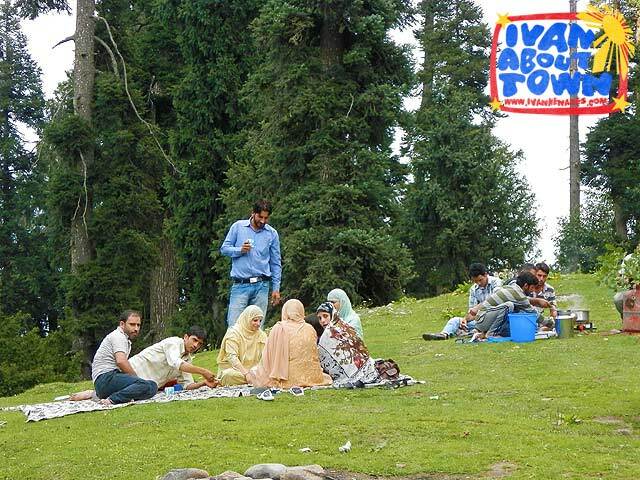 So you'd often see groups picnicking by the roadside or enjoying the children's park by the lake. 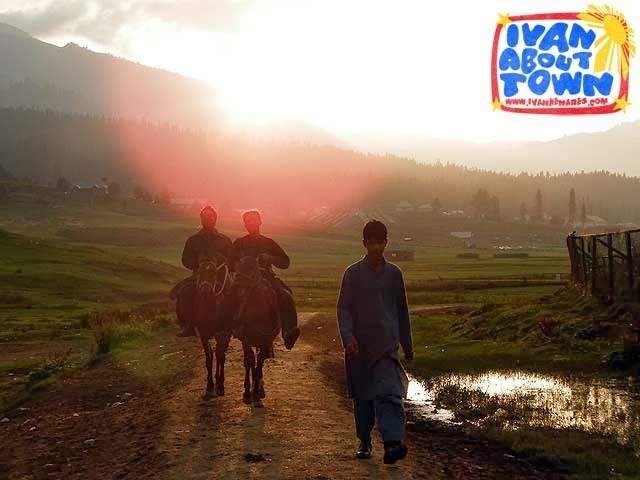 Pony rides are also popular in Gulmarg. 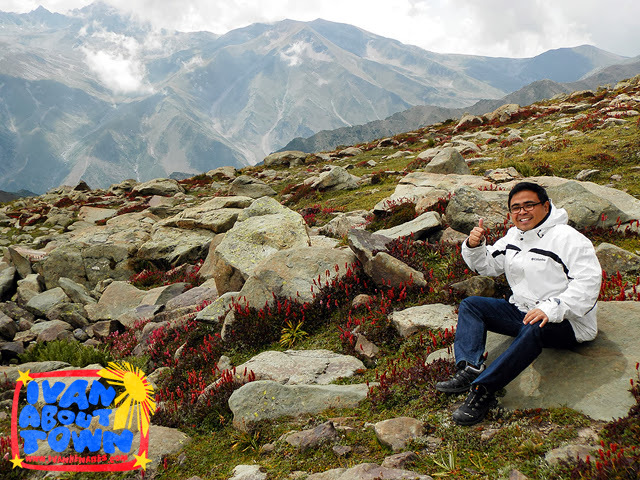 But we decided to do the activity in Sonamarg where the views are even more spectacular. Before sunset, we dropped by the downtown area. 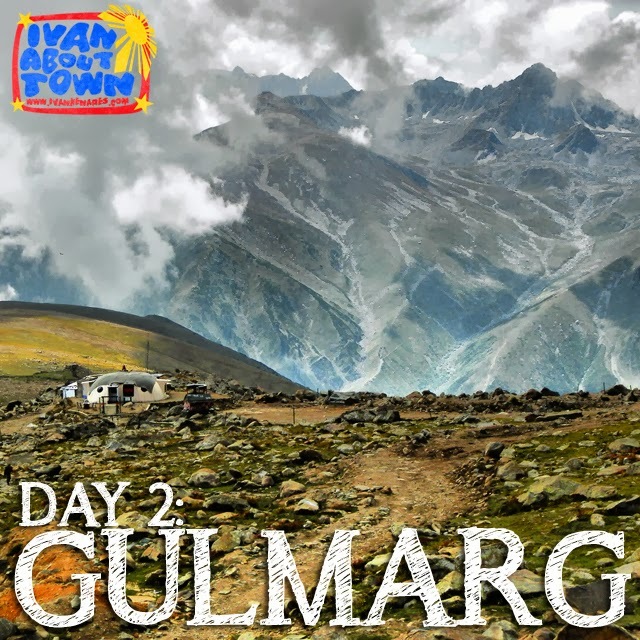 More on Gulmarg in my next post. Photos on my India trip here. Despite having barely recovered from a trip to Nepal, I found myself at the airport two days later leaving for another adventure. Jet Airways and Go India Journeys had invited me to fly to India to visit some of the country's most iconic attractions. 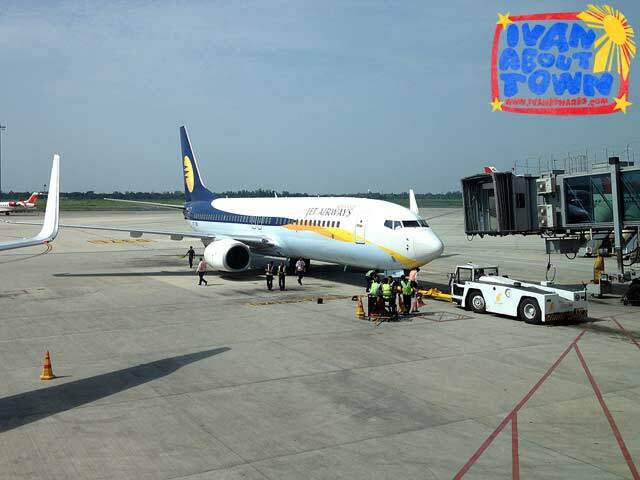 We flew to Hong Kong where we took the Jet Airways flight to New Delhi. It was nearly midnight when our group arrived at the Hilton New Delhi Janakpuri, our home for the next two nights. We didn't have much sleep since we had to leave for Agra first thing in the morning. 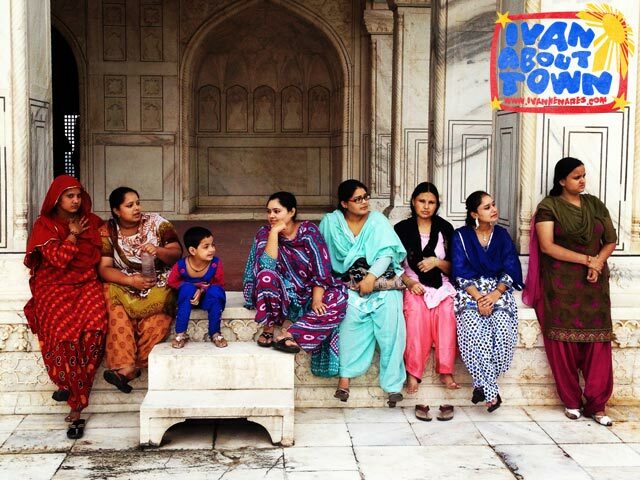 But spirits were high since we were visiting the famed Taj Mahal. Agra was a four and a half hour drive on the new highway from Delhi (which includes having to navigate through Delhi's slow traffic to get to it). 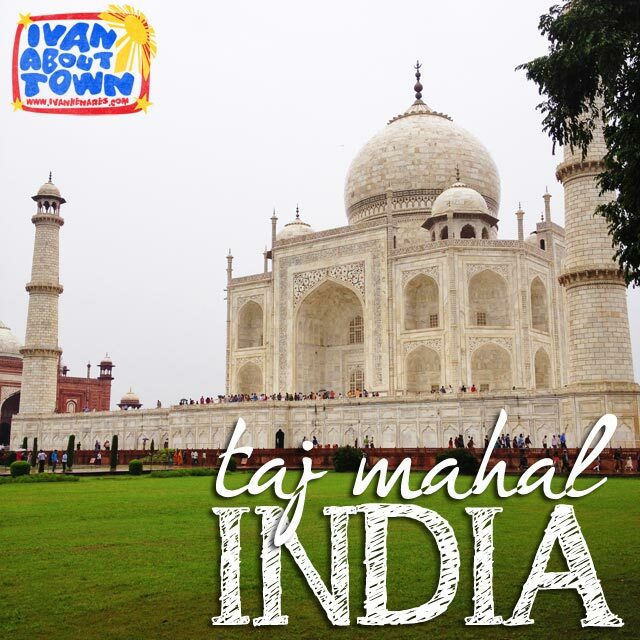 The Taj Mahal is a mausoleum built by Mughal emperor Shah Jahan for his wife Mumtaz Mahal. He is also buried there. 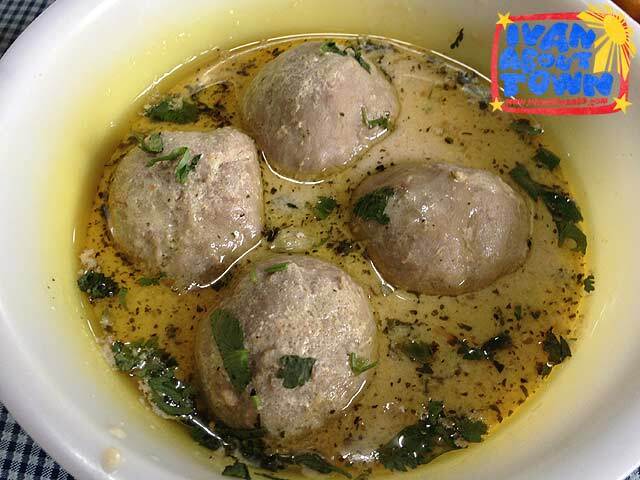 (1) It's best to visit on a weekday since locals crowd the Taj Mahal during weekends. Note also that it is closed on Fridays. Also try to come during opening time for smaller crowds. 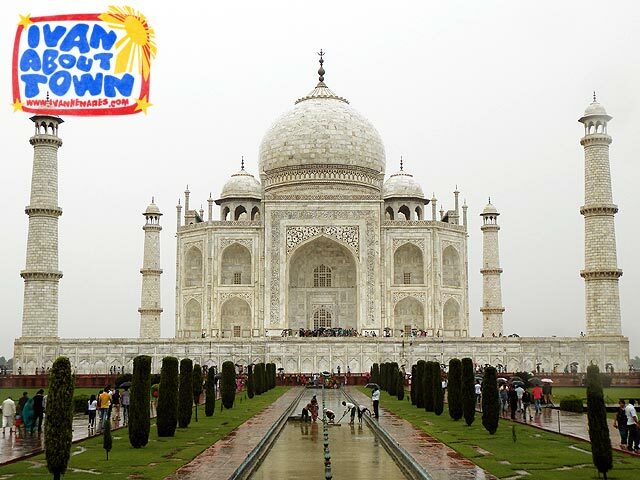 (2) There are many items which are prohibited inside the Taj Mahal. It's best to leave your bags in the hotel or the bus, rather than have to leave them in the locker area. Best if you bring only your mobile phone, camera or video camera, wallet and maybe an umbrella. (3) Your Rp.750 ticket comes with a bottle of water and shoe covers. Make sure you take good care of your shoe covers since you will need these as you walk on the platform around the Taj Mahal. If you lose the shoe covers, you will have to leave your shoes in designated shoe racks and walk barefoot. Also, there's no guarantee you'll see your shoes again when you come back for them. (4) Taking pictures is not allowed inside the mausoleum itself. (5) While there's no dress code for the Taj Mahal, remember that it is a mausoleum and a place of worship. So dress appropriately. The Taj Mahal was an interpretation of paradise as described in the Holy Koran. The water channels represented the four rivers of paradise. 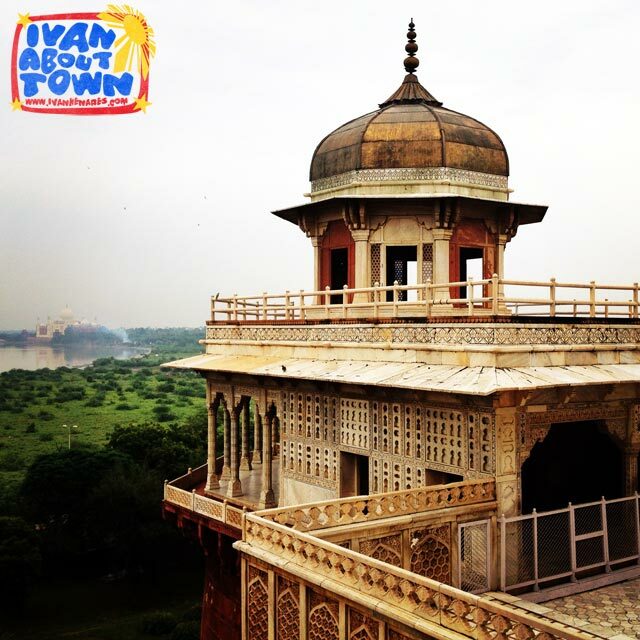 After the completion of the building, Shah Jahan entitled himself as Rizwan, the door keeper of paradise. 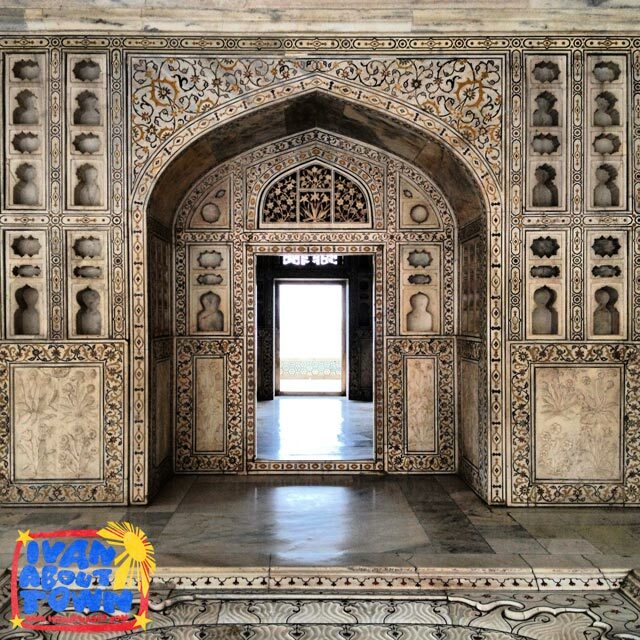 In the main mausoleum, semi-precious stones such as malachite, coral, lapis lazuli, turquoise, mother of pearl, jade, jasper, yellow marble and black onyx were inlaid into the white marble from Makrana, Rajastan (360km from Agra) to produce the Taj Mahal's intricate designs. 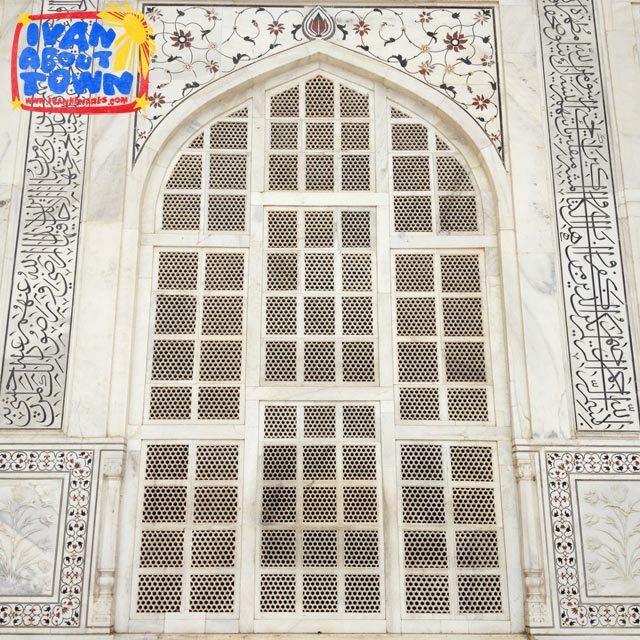 Bas relief depictions of flowers and vines as well as jaali (latticework) were carved out of the marble. Taj Mahal Mosque is located on the left side of the Taj Majal when facing the building. Another similar building which served as a guest house was constructed on the right side for a symmetrical view, an element of Persian-style architecture. After a late lunch at the Radisson Blu Hotel Agra (their Indian buffet was superb), we proceeded to the Agra Fort or Red Fort, where the palaces of the Mughal emperors are located. Both Taj Mahal and Agra Fort are UNESCO World Heritage Sites. 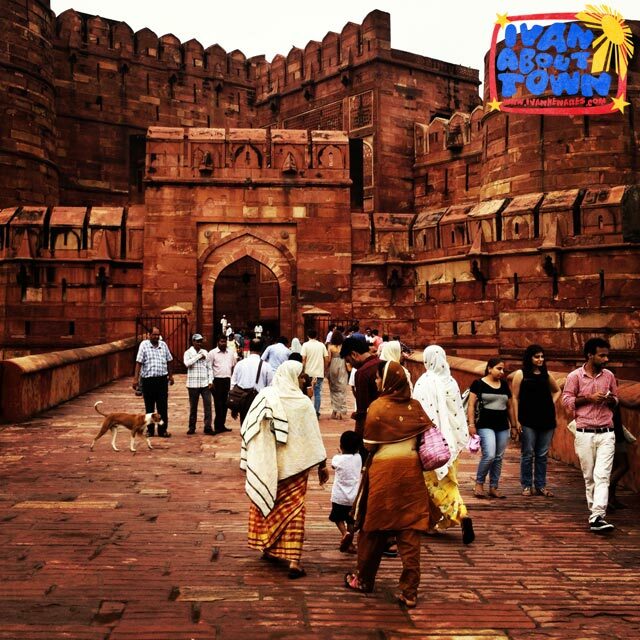 Agra Fort is a complex of Mughal fortifications, palaces and gardens, another must visit when in Agra. We explored the complex for a little over an hour before motoring back to New Delhi. 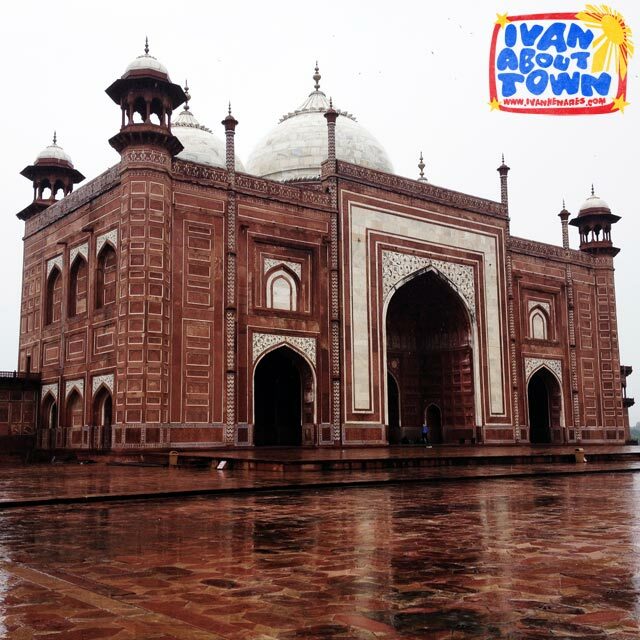 It's best to stay overnight in Agra to maximize your visit to both sites. 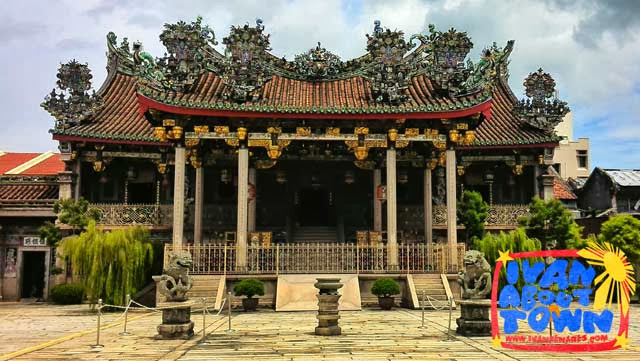 Jet Airways flies daily from Hong Kong, Bangkok and Singapore direct to New Delhi. Passengers from Manila can take connecting or codeshare flights to these cities. Need a visa for Nepal? 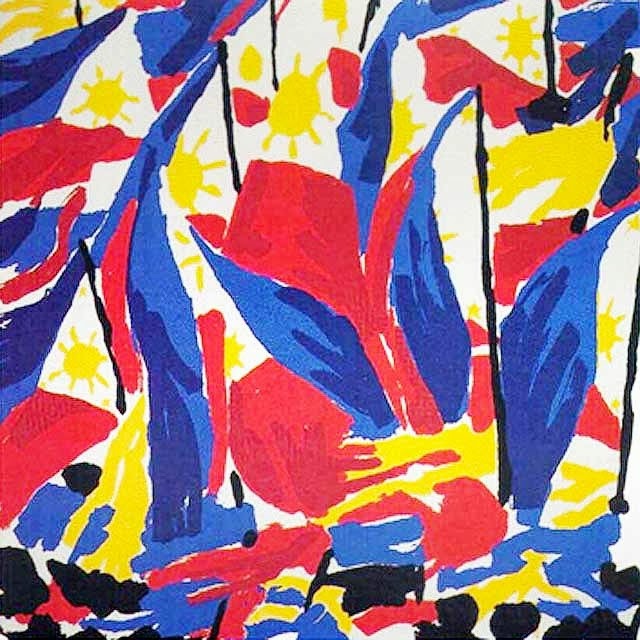 The Democratic Republic of Nepal does not have a diplomatic mission (embassy or consulate) in the Philippines. 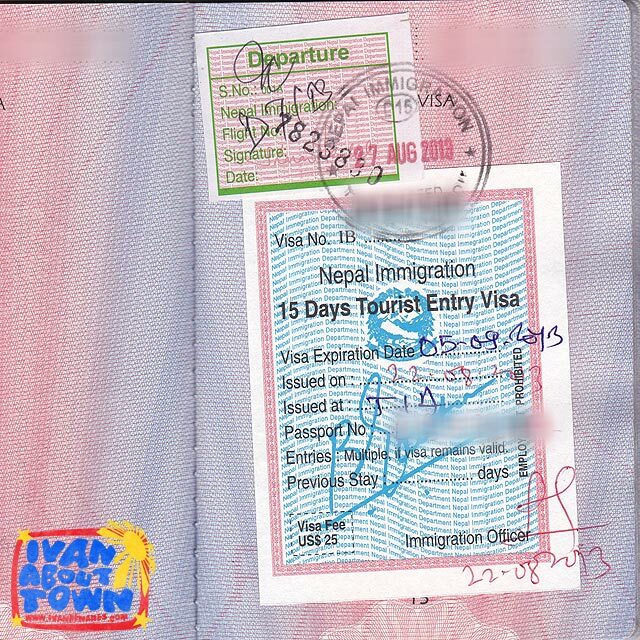 But visa on arrival is readily available when you land in Kathmandu. In fact, you only have to bring a passport-sized photo (35 x 45mm) and US$25 (for a 15 Day Tourist Entry Visa), fill-out the Visa Application Form (different from the Immigration Arrival Card) which is available during your flight (while supplies last) or at the airport itself, and line-up at the visa on arrival counter. It's that simple! If you forgot to bring a picture, there is a photo booth in Kathmandu Airport. Join our tours to Nepal! Here is our schedule.